One of the biggest decisions that you will have to make when creating a WordPress design blog is which theme you will use. There are thousands of premium and free WordPress themes at your disposal, which can make it hard to narrow down your choices. To help you out, I have come up with a list of the top 5 free WordPress themes for your design blog. Each one of these themes uses responsive design and has a unique look and feel. Appliance is a minimalist theme that allows you to showcase your various projects in a group of panels containing the featured images. This is perfect for showing off large amounts of work. Advantages: Appliance has been created using light-coding for a fast loading WordPress site. The clean and minimal look of Appliance lets you show off your design projects without distracting your visitors with other content. Overall: Appliance is simple and clean, but the panel layout on the homepage works best when you have at least a dozen or so posts to display. vFlex is a quality free WordPress theme that has a standard magazine layout. For those wanting a traditional look for their design blog, vFlex is one of your better options. Advantages: The creators of vFlex have ensured that the theme looks perfect on all mobile devices, including iPhones and Android phones. One of the best features of vFlex is the built-in FlexSlider, allowing you to easily add featured images from posts to the homepage slider. 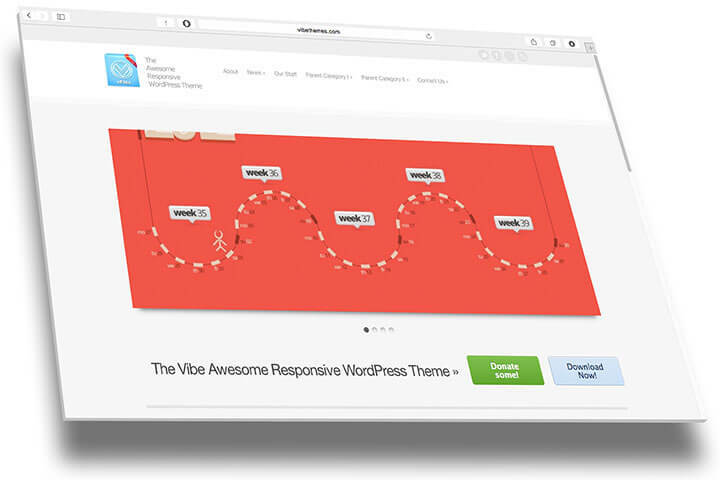 Overall: A free responsive theme with a built-in slider, vFlex has been well-coded and provides enough customization options to keep your design blog looking original. Folder has been made to appeal specifically to designers and those wanted to focus on images over content. 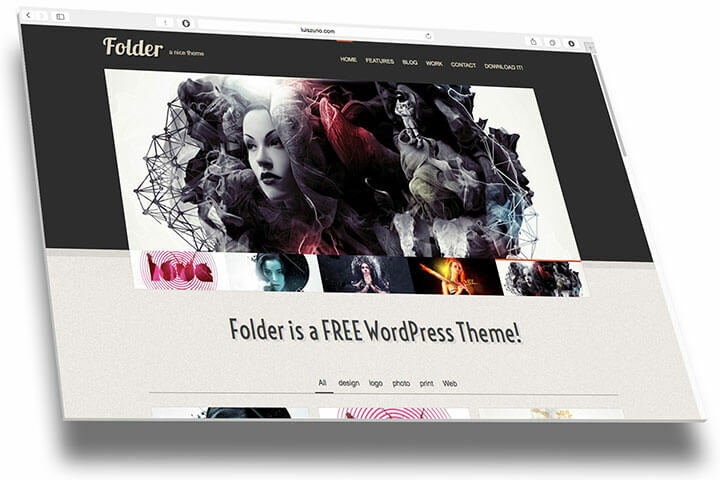 Easily display your recent design projects using the free Folder WordPress theme. Advantages: The custom posts make it easier to divide up your content and the creators of Folder have added five individual widgets, such as a video widget, a contact form, and a twitter feed. Overall: While Appliance contained a large grid of panels, Folder starts off the page with an upper section that can contain a header image and other information, with a grid-style layout below. Yaminth, which stands for Yet Another Minimal Theme, has a unique layout for displaying recent posts on the homepage. This attractive WordPress theme will help your design blog grab the attention of visitors. Advantages: Some of the advantages of Yaminth include several different color schemes to choose from, Google fonts, and a fade in for images using jQuery. It also includes translation-ready features, so that you can appeal to a larger market. 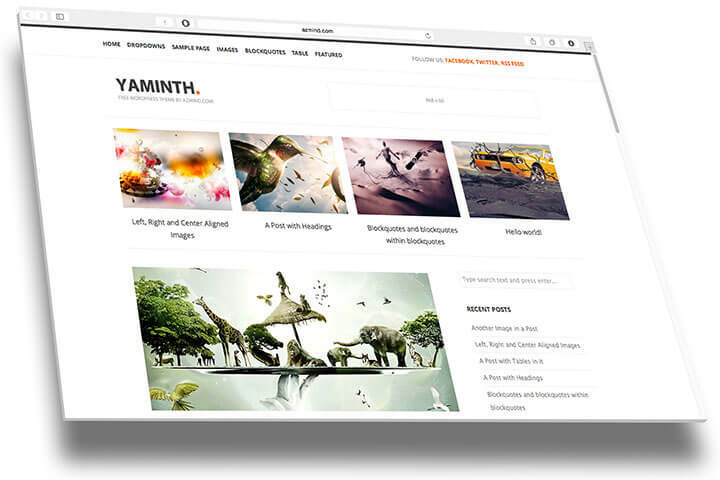 Overall: Yaminth is original and unique with a homepage layout that should attract your visitors. As a design blogger, it helps to have a theme that features an original design. When you first look at Grid, you will see that it uses a similar layout to that of Appliance, with a grid of panels displaying your recent posts. Beyond this similarity, Grid has a few styling features that can give it more of an impact than Appliance and other grid-layout themes. 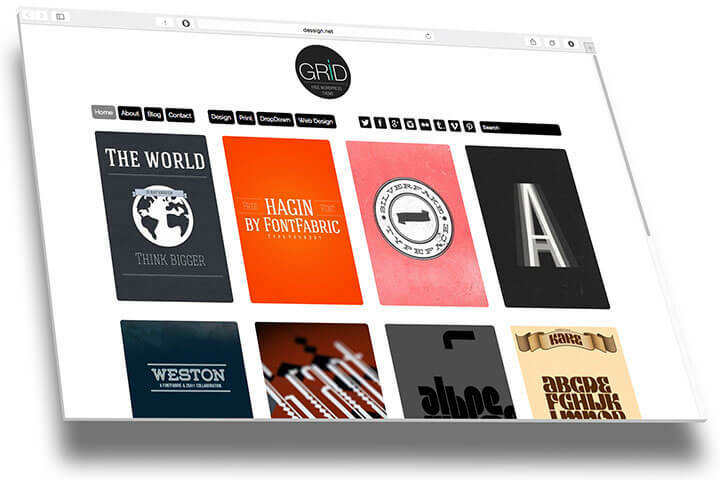 Advantages: Grid was designed to be used for portfolio blogs, but it works well for anyone that wants to feature projects. It uses a well-designed responsive layout for seamless transition from desktop computers to mobile devices. Overall: Grid is another minimal theme that focuses on the use of images to get visitors interested in reading a post. 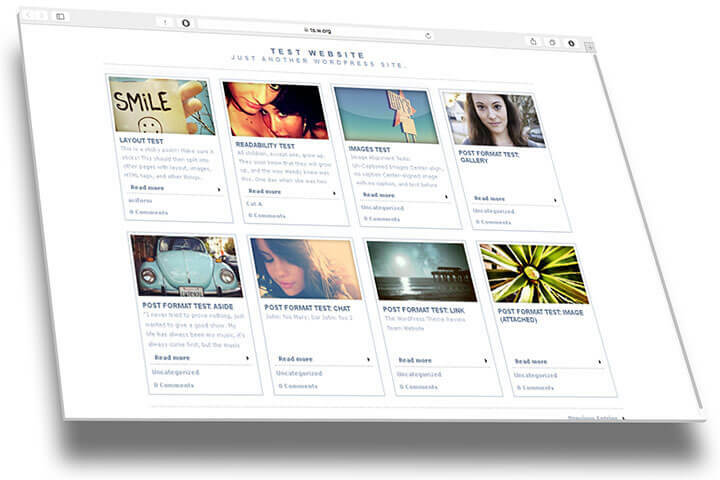 Like the other free WordPress themes included this list, Grid is regularly updated and well-coded. Before you choose a WordPress theme to use for your design blog, you should preview a demo of the theme to get a better idea of how your blog will actually look. If you are choosing from the free WordPress themes listed, Appliance and Grid both contain scrolling grid layouts on the homepage. For a more standard blog appearance, vFlex, Yaminth, and Folder feature a combination of traditional WordPress blog layouts with original flare. Thanks again for reading, if you have any questions that you would like to ask, leave me a message below. I’ll be sure to respond as quickly as possible. Such an incredible collection of themes collection and Thanks for sharing! I am looking a simple and elegant theme for hosting company named hosting verge. I am Miss How to start a blog. I'm here to guide you into the world of blogging. Read through the guides I've written based upon my experience with blogging online by using the menu at the top. And: Don't forget to leave your reply on any of my guides. I'd love to receive your feedback on it so I can improve it even more!